Travelling to Tibet is the opportunity of a lifetime, no wonder it scores high on the bucket list of most travelers. It is often called the Roof of the World, because it is situated on a high plateau north of the Himalayan range in the western part of China. For centuries it was nearly impossible for foreigners to enter, which created a mysterious image of Tibet and its unique culture. 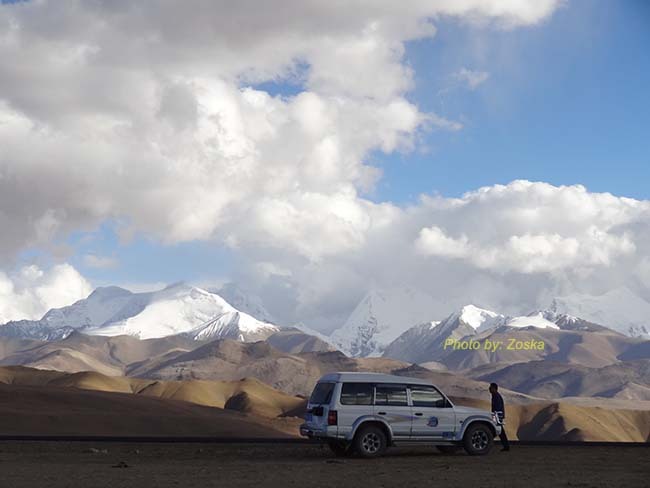 Our trip takes you to a memorable adventure, offering you the opportunity to experience the natural beauty of Tibet, the serenity and wisdom of its Buddhist culture, and the chance to see how Tibetan people – nomads and farmers – manage to make a living in this harsh environment. Either you plan a spiritual journey, a pilgrimage, a cultural tour or dreaming about seeing Mt. Everest and the Himalayan range, this trip have it all. From the temples and monasteries in and around Lhasa, you will travel through high mountain passes, visit the famous turquoise lake, the soul-lake of Tibet, learn about traditional life in Gyantse, visit the Panchen Lamas residence in Shigatse, and cross the Trans-Himalayan range to visit Everest Base Camp, where climbers gather every year to conquer the highest peak of the world. The current itinerary is based on the recommendations from our experts and feedback from travelers who made this trip with us in the last few years. We hope to welcome you soon on your adventure of a lifetime! Additional expenses which may arise due to circumstances beyond control of Royal Mountain Travel such as flight cancellations or delays, landslides, strikes, etc. NOTE: Due to permit issue, we need all clients to be flying into Lhasa by the same flight from China. Below are the list of costs of entrance fees and excursion you may have to pay for the tour. Please note that these prices are subject to change during the travel and should be used as guidance only. Today is the first day of the group tour and we can expect group members arriving at the starting hotel at various times. Depending on how you arrive, you can expect your guide to be waiting for you either at the train station or at Lhasa airport to receive you. 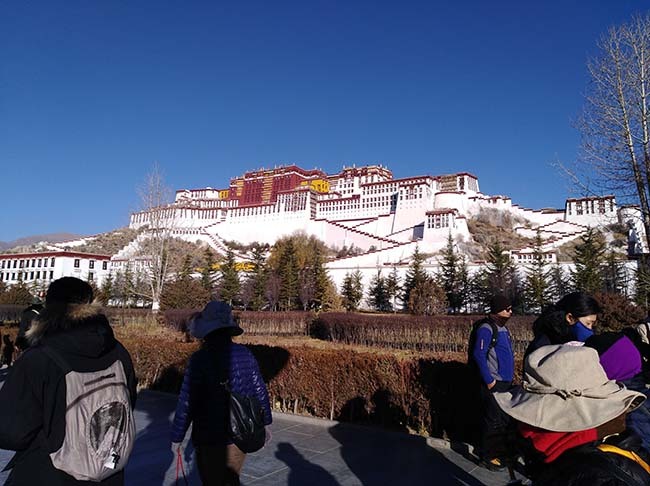 You will be driven to your first Hotel in Lhasa – Hotel Yak where you have the opportunity to meet with other group members. Since we are already at 3650m, we recommend that you take this first day at high altitude with ease. Drepung means rice-heap which comes from the Sanskrit Dhanyakataka, the name of stupa in south India where the Buddha first taught the Kalachakra Tantra. The monastery is located 8 km west of Lhasa. With an area of over 20,000 sqm, its principal buildings are the Tshomchen, the four main tratsangs, and the Ganden Potrang. Each of these has its own residential units, Khangstens and other functional buildings. The major structures follow a simple architectural plan. Each consists of a courtyard, a large hall and inner chapels. Dominated by a high ridge known as Gephel Utse, Drepung was founded by Jamyang Choje in 1416. This celebrated yellow hat lama was born near Samye to a wealthy family (a childhood friend donated large sums for the building of Drepung). With the contribution of rich families and feudal lords, he announced plans to create a great monastery One year after commencement, the monastery had become home to 2000 monks. By the time of the Fifth Dalai lama (1617-82), its population had grown to a staggering 10,000 monks. Pilgrims move through the complex in a clockwise sequence from the parking lot fronting the main entrance: Ganden Potrang, Tshomchen, Ngagpa Tratsang, Jamyang Lhakhang, Loseling Tratsang, Gomang Tratsang, and the Deyang Tratsang. The Norbu Linka or Treasure Garden is the summer palace of the Dalai Lamas, a quiet and beautiful garden in the western part of Lhasa. 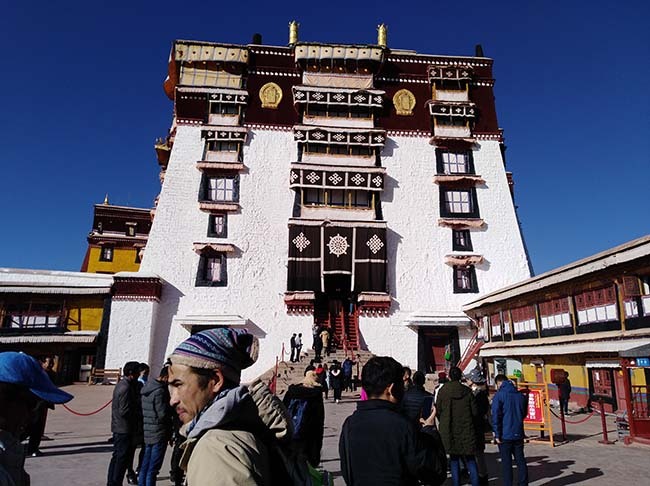 Its construction was started by the 7th Dalai Lama in the second half of the 18th century, and finished by the 13th and 14th Dalai Lamas in the 20th century. It is a huge well-kept garden, where you can walk around and enjoy the beauty of high altitude flora, and visit three palaces. The most interesting is the 14th Dalai Lama’s palace, where you can see murals of his audience hall depicting events of Tibetan history, and visit his living quarters. He escaped from this palace to India on March 10, 1959. Sera Monastery is a famous monastic university of Tibet belonging to the Gelukpa school founded in the early 15th century, about 5 km away from the center of Lhasa. Among its many buildings it is worth to visit the impressive assembly hall where the monks do their daily rituals, and its Hayagriva shrine, as this Tantric deity is the remover of obstacles and its blessing heals headache and altitude sickness. Next to this building is a fenced debating courtyard, where every afternoon the monks test their knowledge of Buddhist philosophy in a spectacular way between 3 and 4 o’clock in the afternoon. 5th Dalai Lama began construction of the White Palace (built 1645 – 53) employing 7000 workers and 1500 artisans. (a Tang dynasty Chinese princess, Wenchang) as the principal geomantic power – place in Tibet. Jokhang: The Jokhang Temple is 1300-year-old, a golden-roofed building at the center of the Barkhor Market. The most sacred and active Tibetan temples, it was founded by Bhrikuti, King Songtsen Gampo’s Nepalese Bride, on a site chosen by his other wife (a Tang dynasty Chinese princess, Wenchang) as the principal geomantic power – place in Tibet. 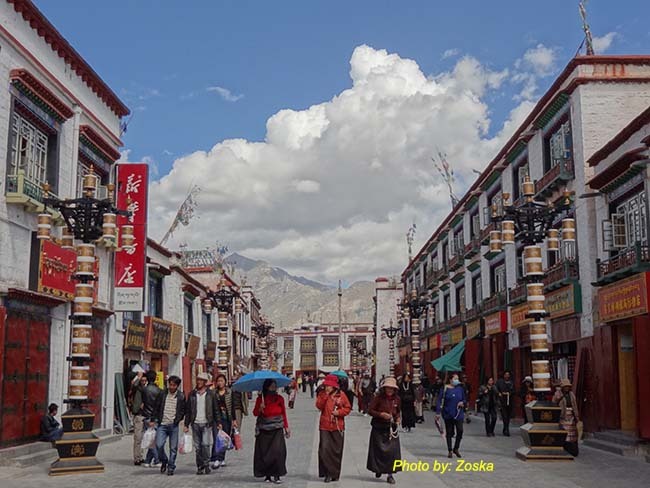 Today is free day in Lhasa and you may want to wander around the town on your own. But to enter any temple, monasteries or sites, you need to have your guide with you. In addition, we would like to recommend that you take this free day opportunity to visit Ganden Monastery. Your guide in Tibet would the best person to talk to for this optional activity. Gyantse (3950m) is 254 km from Lhasa. The drive is long, yet the most scenic drive in Tibet. 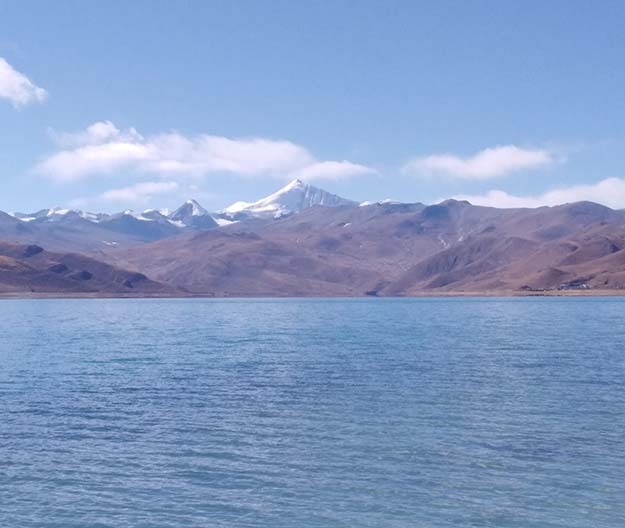 After stopping at a water burial place, the road winds up to the Kamba la, a high pass of 4794 m, from where you get a stunning view of the Yamdrok tso, the soul lake of Tibet. Then the road winds around the lake and after a stop in Nakartse we will cross the Karo la, another mountain pass of 5045 m, where we can take photos of a huge retreating glacier. In the afternoon we will arrive to Gyantse, a once an important trading town that retained the charme of old Tibet, and by walking around in its backstreets you can experience the way Tibetan farmers lived in the last few centuries. In the morning, visit Gyantse’s Monastery – Pelkor Chode. The main temple of Pelkor Chode, the Tsuklakhang was built 1418– 1425 AC by the 2nd prince of Gyantse. It was an eclectic academy with 16 dralsang (colleges) belonging variously to Sakya, Butonpa, Geluk and Kagyu schools. All the dralsang buildings have been destroyed, however the main assembly hall was preserved along with its remarkable (15th images and Murals). The top chamber is decorated with fantastic mandalas in Sakya tradition. We continue our drive to Shigatse which stands at the confluence of Nyangchu and Brahmaputra Rivers. Shigatse is Tibet’s 2nd largest city. 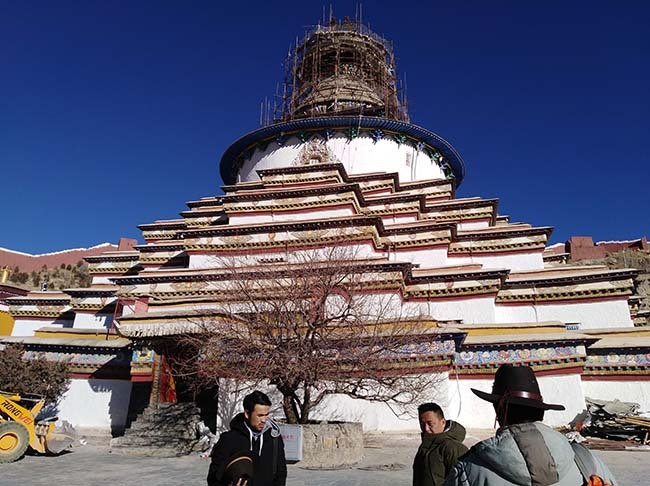 In Shigatse, we visit Tashilumpo Monastery which was founded in 1447 by a nephew and disciple of Tsongkhapa who was retroactively named the first Dalai Lama. We continue our journey towards Shegar via Sakya town. Sakya is the principal seat of Sakya School and as such played dominant role in the political and religious history of Tibet in the 13th and 14th century. 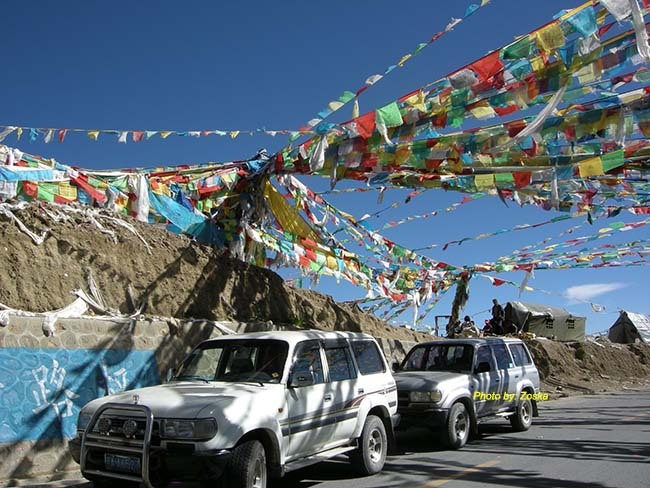 After leaving Shegar, we will turn off the friendship highway for a stunning drive through Qomolangma National Park to reach the tiny Ronghphu Gompa at 5000m. In the afternoon time we will descend into the Rombuk valley and Everest will jump quickly into the view, which would be first chance to catch a glimpse of this inspiring mountain. 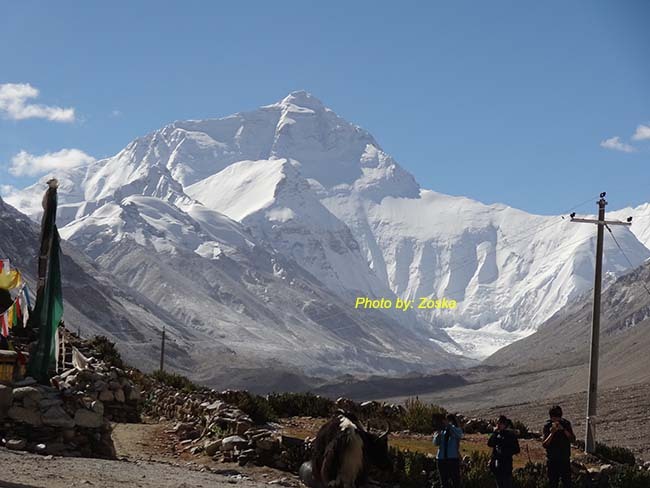 Everest Base Camp excursion (5090m), a 02 hrs trek from Rombuk will lead you to the base of the highest peak on the earth. The North Face of Mount Everest (8848m) or Mount Qomolangma in Tibetan. Now the authorities provide transportation from the tented camps all the way to Everest Base Camp. You may choose the option of driving all the way to Base Camp too but if you avail this service, you need to pay for the transportation charge directly. Cost of the same is CNY 25.00 per person for both way (price may change during the time of your visit). Today we will continue our drive towards border of Nepal & Tibet. Kyrong or Gyirong Port (Rasuwa Port on Nepal side) is located about 160 km from Kathmandu, capital of Nepal and about 820 Km from Lhasa. At the border, you walk across the bridge joining Nepal and Tibet. Then after necessary immigration formalities in Nepal part, we continue our journey towards Trishuli. The road connecting the border and Trishuli town is adventurous and we can expect to have a bumpy ride. Today we will be driving towards Kathmandu. Once in Kathmandu, you will be dropped at your booked hotel.